Whatever form they take, the arts transform, chronicle and illuminate the world around us. The Childers Group welcomes the invitation to provide input into the 2014-15 Budget development process. We believe support for the arts is an essential component of any budget. We note the 2014-15 Budget will continue to the ACT Government’s focus on growing the economy, improving liveability and opportunity, better health and education outcomes, and urban renewal. 3. Further development of infrastructure projects. Engagement and participation in the arts contribute to the quality of life. The ACT enjoys a national reputation in terms of its participation in the arts. We should invest in that reputation. Similarly, we lead the nation in attendance at cultural events. The ACT Government can build on that. Canberra is experiencing the maturation of a wide range of arts activity with a rich and exciting array of events and programs. These activities challenge our perceptions, inspire confidence, and create cohesion in our community. Significantly, the arts also represent a major attraction for tourists and visitors to Canberra and the surrounding region. We have become an attractive destination in terms of our cultural facilities and the lifestyle attractions, e.g. a lively arts and cultural events calendar, excellent wineries and great restaurants. Recommendation 1: That the ACT Government considers cultural tourism as a major investment opportunity in the 2013/14 budget. The arts are also a central aspect of the creative industries, which are drivers in innovation, creating new opportunities for growth in the economy. The Centenary year has generated many new opportunities in this area – opportunities too good to miss. Many of these opportunities have been initiated through ACT Key Arts Organisations and infrastructure facilities. For example, Crafts ACT: Craft & Design Centre commissioned Canberra designer/makers to design and make a range of Centenary souvenirs involving local manufacturers and skilled staff. The products have proved a very popular success, especially with visitors to Canberra. Recommendation 2: To ensure the viability of our Key Arts Organisations and key arts facilities, The Childers Group strongly urges the ACT Government to ensure stable funding for ACT Key Arts organisations and arts infrastructure, with CPI increases granted on an annual basis. There is also the critical issue of superannuation and long-service leave provision. The increase in superannuation up to 12% begins in 2013 and increases steadily over the next five years. This will have an impact on all funding for organisations and one-off projects. The Childers Group notes there are greater long-service leave obligations in the ACT. Recommendation 3: Funding levels for Key Arts Organisations must be regularly revisited to ensure quality and retention of staff, enabling delivery that is professional and sustainable and that ensures the arts reach the wider community. The Childers Group applauds recent ACT capital works investment in projects such as extensions/refurbishments to the Street Theatre and the Tuggeranong Arts Centre. However, all infrastructure facilities must be complemented by appropriate investment in skilled personnel to ensure the success and viability of the facility. At present it is difficult to attract, recruit and retain the highly skilled arts managers needed for this task. A key issue in recruiting and retaining arts workers in Canberra is appropriate pay for arts workers. Payment of ACT arts workers’ salaries commensurate with their skills and experience will ensure the retention of qualified people with the necessary expertise to manage Canberra’s arts and cultural services. It will also ensure the sound management and development of strong policies and protocols within the key arts facilities built by the ACT Government. Recommendation 4: The benchmarking of professional arts workers’ salaries with salaries in the community sector and with arts personnel in other states and territories. On the question of a fee for service, while the Childers Group considers that the community should make a direct contribution to the arts, there is already a considerable fee-for-service culture in the ACT’s arts sector. For example, most programs and workshops provided by ACT Government-funded key arts organisations have a fee attached, as do membership organisations. However, the Childers Group also acknowledges that fees need to be kept affordable in order to maximise accessibility. It should be recognised that for many communities, participating in arts activities is as much about social interaction as creative production, and these activities should be low cost or free wherever possible, which is consistent with the accessibility theme raised in the Loxton Report. The arts contribute to better health and the quality of education. Involvement in arts activity, from a young age and within our schools environment, is an important means of maintaining a healthy lifestyle and a sense of wellbeing. Art forms such as poetry and painting help us look differently at our everyday experiences. Literature and film tell the stories that we know or want to know and theatre makes us laugh and cry. Music uplifts and inspires us, and the language of the healthy mind and body speaks to us through dance and movement. The Childers Group strongly supports the National Advocates for Arts Education **(NAAE) statement about the development of The Australian Curriculum: The Arts and its central principle of the entitlement of every young Australian to an arts education, one that includes all five artforms of dance, drama, media arts, music and the visual arts. Engagement in the arts throughout a child’s schooling, including early childhood, has immeasurable benefits which are now both quantifiable and proven in countries that have invested in strong arts programs within their schools. The NAAE** further states that, ‘arts education across all art forms is central to young peoples’ cultural understanding, their ability to express ideas and to problem solve. Education in the arts is the essential means to build a skilful, knowledgeable, arts literate, articulate, healthy and confident generation equipped to deal with 21st Century challenges. The arts play an important role in other parts of the general curriculum: literacy, numeracy, critical thinking, cross-cultural and environmental awareness, social and ethical development’. The Childers Group welcomes agreement by State and Territory Education Ministers to the curriculum’s final form, and their strong commitment to its implementation. Recommendation 5: That the ACT Government budgets for implementation of The Australian Curriculum: The Arts and provides the necessary professional development and resources that will enable teachers to deliver the curriculum to every ACT student, from the early childhood years to Year 10. To support implementation of The Australian Curriculum: The Arts and the links between schools and communities, the Childers Group advocates for the establishment of an Arts-in-Education officer position spread across the Education and Arts portfolios. In the first instance, this should be a three-year initiative. Similar initiatives in other states, for example WA, have proved very beneficial. Establishing and consolidating existing links between artists, arts organisations and schools and the tertiary sector should be a key component of the work. A strong artists-in-schools program also supports the professional development of classroom teachers and provides links between students and practising artists. Recommendation 6: The establishment of an Arts-in-Education officer position that would build relationships, partnerships and programs between the Education Directorate and the Community Services Directorate. Ideally this should be a Senior Officer Grade C, paid for by the Education Directorate, with the officer spending 50% of time in Education and 50% at artsACT. Recommendation 7: Continued support for the successful Artists-in-Schools program by providing Key Arts Organisations with a special support fund. This would encourage arts organisations to devise their own residency projects by developing collaborative arrangements with other Government agencies, the private sector, the Australia Council and tertiary institutions. With quality infrastructure facilities, the arts make a significant contribution to the community and to the economy. The Childers Group acknowledges the recent ACT capital works investment in projects such as extensions/refurbishments to key arts facilities and the planning for additional cultural facilities. Realisation of the Visual Arts Hub at Kingston is another important initiative taken by the ACT Government that is fully supported by the Childers Group. In terms of additional facilities, the Childers Group particularly recommends investment in professional dance infrastructure in the ACT. 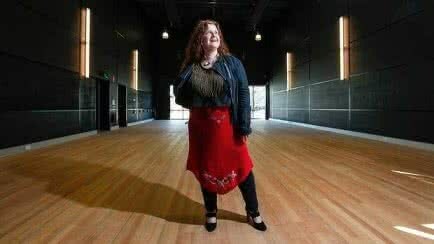 Canberra needs a high-quality dance hub with state-of-the-art facilities that could be shared between a number of organisations, offering space for the creation of new work, performances, master-classes, residencies and forums, and opportunities for ACT-trained dance artists to return to the Territory as choreographers, dancers, facilitators and researchers. 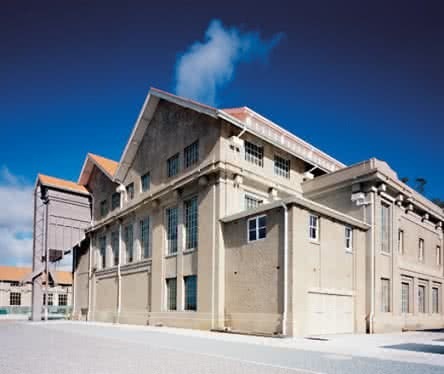 The Canberra Glassworks complex offers an excellent model for professional practice and community engagement that puts the ACT at the forefront of development of the visual arts. Recommendation 8: That the ACT Government initially investigates national and international models and then commits to development of a professional dance hub in the ACT that will attract major dance artists to the Territory, particularly the many choreographers, dancers, facilitators and researchers who have initially trained here in Canberra. The Childers Group strongly recommends consideration of increased investment in the arts as outlined in this submission. As our city and the region grow and develop, so too must our thinking in terms of providing opportunities and encouragement for our artists to stay, while nurturing creativity and social engagement within the wider community. With this kind of support, the ACT region will continue its development as a vibrant, engaged, confident and sophisticated National Capital with strong regional connections and artistic networks. The next creative generation and the community depend on it. ** NAAE National Advocates for Arts Education Statement, June 2013.